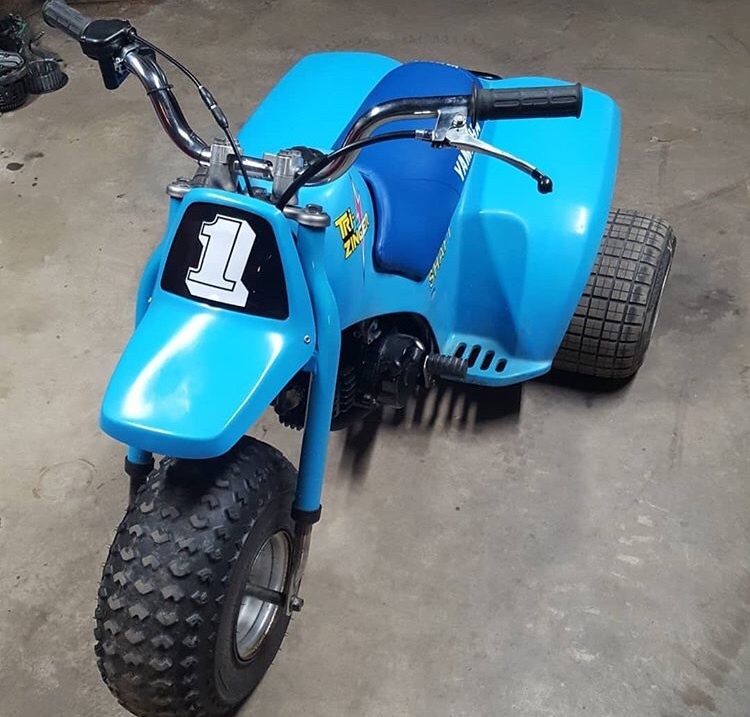 Any 3 wheeler fans in here? Just scored this gem last week for a steal. 1971 ATC90, all original balloon tires that still hold air. Bring on the death trap comments. I love death machines. There is still a scar on the back of my calf from the tire running over my leg! I have quite a soft spot for them. Worst is I’ve got my old lady in on it so she is constantly sending me links for them for sale. This is her Yamaha YT60 I restored for her. Man, that cleaned up nice! Had a 200X that used to ride at Pismo for years, loved it!!! Always wanted a 350. The blue plastic was almost yellow when I bought it, but didn’t have any cracks. Took a bunch of wet sanding and buffing to get it back to the original sheen. Seems like everyone has had a 200x at one point haha. 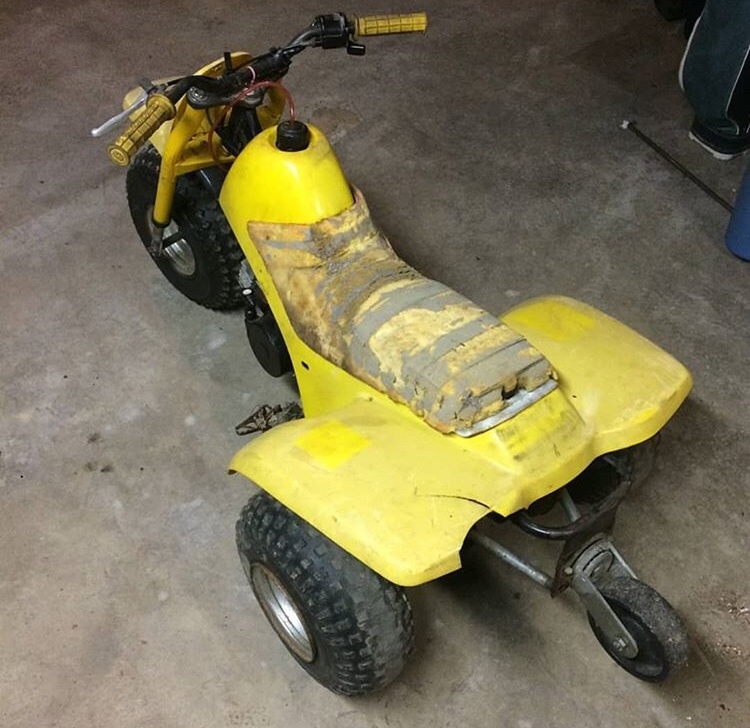 That’s what I rode when I was a kid. Picked up an 85 250R a few years ago. It’s my TT and flat track machine. Just got an 84 big red with high/low/reverse for free. Cleaned the alge out of the carb and she starts first try every time. Its sketchy as hell to ride but fun. Last edited by sherm$; 03-21-2019 at 08:45 AM. The rest of the mini collection. And a little action shot from the TT Nationals at Ashtabula OH last year. There were over 100 3 wheelers there racing in 10+ classes. Definitely a badass event. Last edited by Byro; 03-21-2019 at 08:56 AM. I have had many over the years but sadly sold them all. Looking for another one as a project, really wanting a 250sx. I remember when my neighbor got a Blue 70 for Christmas. Fawk was I jealous! Dad was kinda the mechanic that everyone knew. 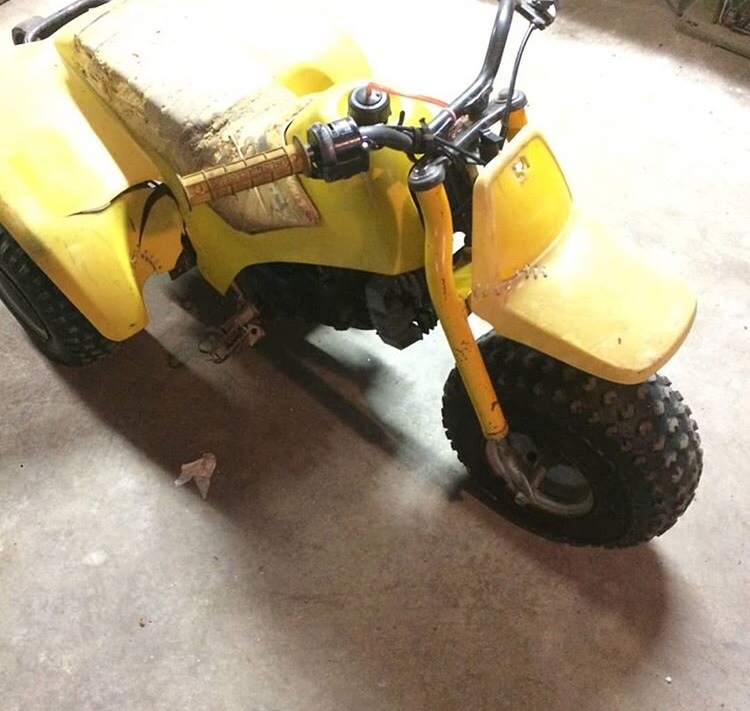 We never had much money but when he would have someones over to fix we got to ride it a week while he "worked on it". My Brother and I could not WAIT to get off the bus and ride around in circles in the yard. We did own a 110 for awhile though. I remember Dad working on a Tri Moto that my brother ended up crashing into the pop up camper! My Aunts boyfriend came down to the house on a new 350X to show my Dad one afternoon. I'm pretty sure I was hooked on motorized stuff after that ride. I remember vividly trying to get my legs around that huge metal gas tank as my Dad pulled onto the street and told me to hang on. Front tire in the air for what seemed like forever! Friend of mine has one of the Christmas special ATC70s. They are big money. Only around a hundred or so were even made. Each Honda dealer got one and they were raffled. You got the call Christmas morning saying you won the 70. Same deal as the all chrome Z50s. Clean little Buddy. Did I see it cruising around Pinelake last year or am I imagining it? 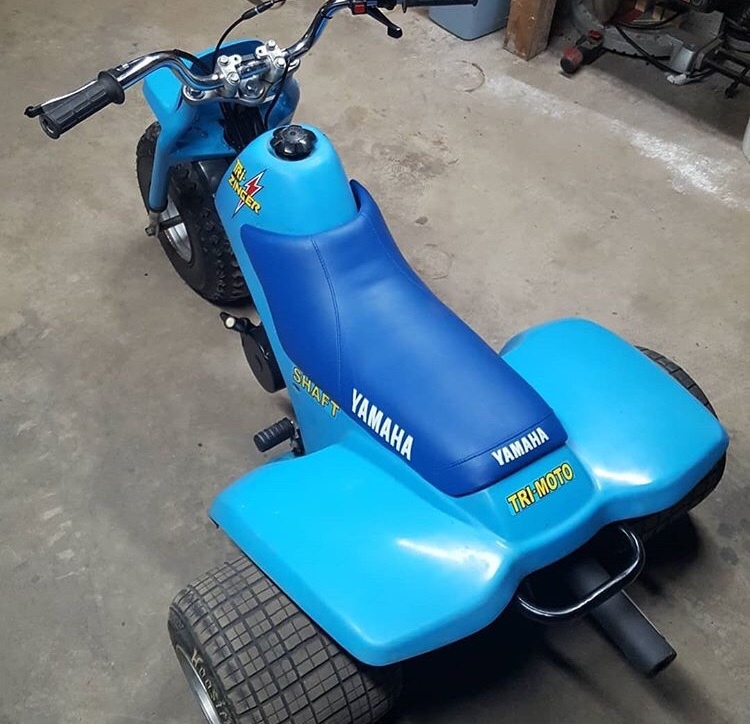 We all had these growing up and rode them around on county roads. Way too much fun! We worked them on the farm herding cows and doing chores as well. We, nor our parents, considered them dangerous at all(still don't). Idiots will be idiots no matter what. We laughed at the first people on 4 wheelers and considered it a Sr citizen ride. 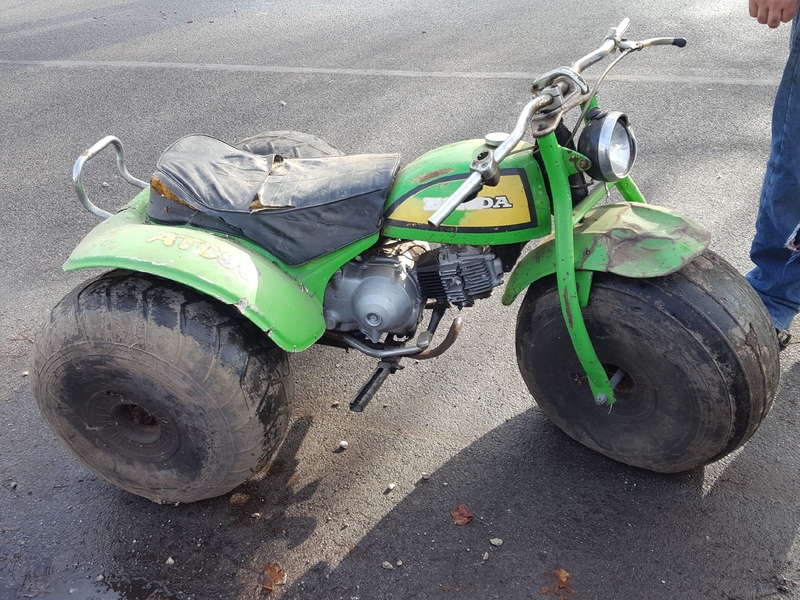 "An idiot proof 3 wheeler" was the consensus. 4 wheelers only produced more ingenious idiots. I wish they would start making them again. I'd buy one in a heartbeat! Yep. TPC, Halls Performance and BVC all build moderns. 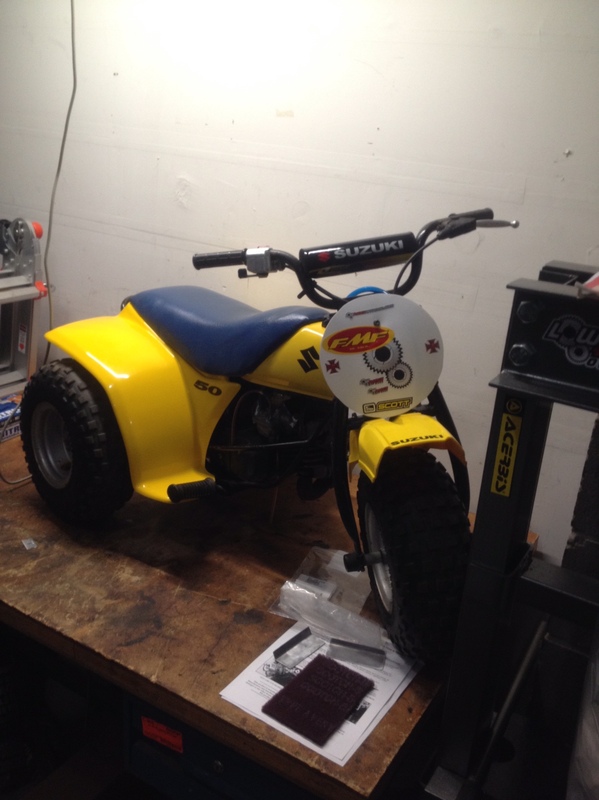 BVC did a 300cc 2 stroke Husky and an Alta electric. Very cool stuff. Always rode Hondas. Started with a 1979 ATC110 and along the way there was a 1981 200, a 1983 Big Red (200E) a 1984 Big Red (200ES). Acquired others in bits and pieces along the way. Latest acquisitions are 1985 and 1986 250R's. Maybe not the fastest thing out there anymore, but if I take them out to the local public riding areas, they draw stares all day long. 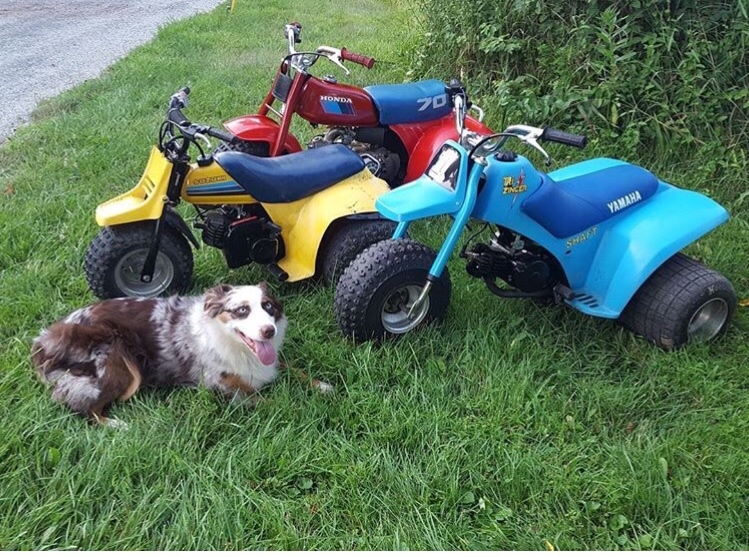 They're older than the kids riding the newfangled 4 wheeled jobbies, and if I end up in a drag race, it's not going to be an automatic cakewalk for the 4 wheel crowd. The sight of me sitting on the tank and still fighting to keep the front wheel out of the sky on launch seems to unnerve some people. I never considered that 1984 Big Red my favorite, but it was a faithful servant all the way to about 1995. Feels like I put 100,000 miles on that thing. That original 1979 ATC110? Still have it, though now it's got a 125M top end and 61.5 mm stroker crank, been converted to manual clutch, and has picked up some spare 250R parts along the way. Hell yeah! The 250R fender looks bitchin on there. The 125m jug fits into the 110/90 case or did you have it machined? The horizontals really are my favorite, the hay days of Big Als Performance with the wild 183cc alcohol stroker 90s are the epitome of old school trickness. Honda 90's,110's,185's were our style. The 2 stroke race 3 wheelers were cool but not very useful for what we did. I didn't know anyone still made them. Very cool! FIL has a 250r and another basket case one that i need to grab one of these days. Buddy of mine has a 200x and a tri-z that his dad held onto all of these years. Man that 200x has been put through hell by us throughout the years, one of these days im gonna go grab it and rebuild it for them. 125M has a bigger OD sleeve, so yes, cases need to be bored to accept the bigger sleeve. Stud pattern is the same, so no issues there. Biggest issue I came across was finding the right timing chain. I've got a spreadsheet...somewhere...of part numbers I'd collected / researched when putting the mess together. In the end I believe I went with 125M cylinder studs, but off the top of my head, I don't remember what timing chain I used. IIRC, the 125M cylinder is a little taller than a 110 cylinder. I ended up turning a bit off of the base of the 125M cylinder to shorten it and make the timing chain link up. Could have made a spacer plate for under the cylinder and gone with the next size longer timing chain, but that would have dropped the piston crown lower in the cylinder at TDC. So this becomes a balancing act. Ultimately I gave up some compression with my piston and deck height choice, which was a good thing with the stroker crank. This thing used to be murder to start with the stroker crank and stock top end, even with just 132 cc's in that configuration. Also used a CT110 camshaft, because the '79 ATC110 uses points, and the 125M uses CDI. I believe I could have shortened the stem on the 125M cam to use points, but the CT110 cam fits with no modifications and is the right length as is. Downside is that there are no aftermarket cams (that I know of) for the CT110 or 125M. ATC90 / 110 stuff is way more popular. But if I wanted it bad enough, I'm sure Web Cam could probably do something for me. Works fine for me as is...not a high end race motor. It gets all its power from displacement. Speaking of which, I'll answer that question before it's asked. No I'm nowhere near the same league as the old school guys who put 185 top ends on ATC90 cases. But with a XL125 piston (56.5 mm, I think), I'm right around 154 cc's. As I understand, the manual clutch conversion was popular back in the day of the really radical old school ATC90's. Like Byro said, before the 250R came out in 1981, guys were really stretching out the 90's by grafting 185 or 200 top ends to the 90 cases. Manual clutch parts were sourced from one of several 2 wheel Honda models..S90, or SL90...something in that family. I'm convinced I've done something wrong in the conversion, because as mild as my motor is at 154 cc's, the manual clutch is still my weak link. I've got a few more things I need to try to get ip up to snuff, but if I don't succeed, I may very well convert back to the auto clutch. I don't remember it slipping as much as the manual clutch does. Project ATC 110 All tricked out ! Video !!!!!!!! Good manual clutch conversion info here (not mine). Had a 70 as a kid then grew into my 110. Then I got an fl350 odyssey when I was 14. Sold all 3 of those machines here on pbb. Last edited by ADD; 03-23-2019 at 05:09 PM. Counter balanced, power valved all Honda 300. Yes please. I keep kicking around the idea of the ESR 330 kit for my R. Friend of mine just finished his 300 Tecate. Uses a cut down jet ski piston and a custom sleeve, she’s a ripper. Can't promise you that it's going to be "all Honda"...or at least not as Honda intended for the '96 CR. Modifying the aluminum cases and adding all the mechanical linkage and governor for the power valve like the CR is going to be beyond my capability. So I want to try some sort of servo motor actuation for the power valve instead of the mechanical linkage. Probably drive it with an aftermarket stand-alone power valve controller. That's the plan, anyway, and in some respects I expect it to be easier than the 110. ESR kit is tempting, but I've got to be different. 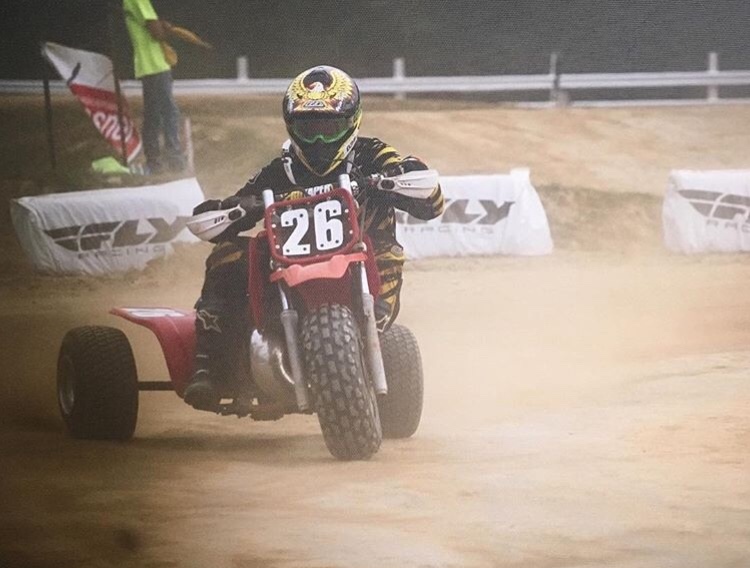 Years ago, a friend had an early 90's CR250 that had the absolute smoothest, most controllable power output of any dirt bike I've ever ridden. Wasn't stock...I know that for sure...but he passed away before I ever found out exactly what he had in that motor. Always thought that was the motor I wanted on 3 wheels. Using a similar cylinder seems to me to be the best way to start trying to reproduce that motor.